This an easy activity which can be done in the classroom or given as homework. The students are asked to match the pictures with verbs/activities by using 'can'. Visual make it easy to understand. 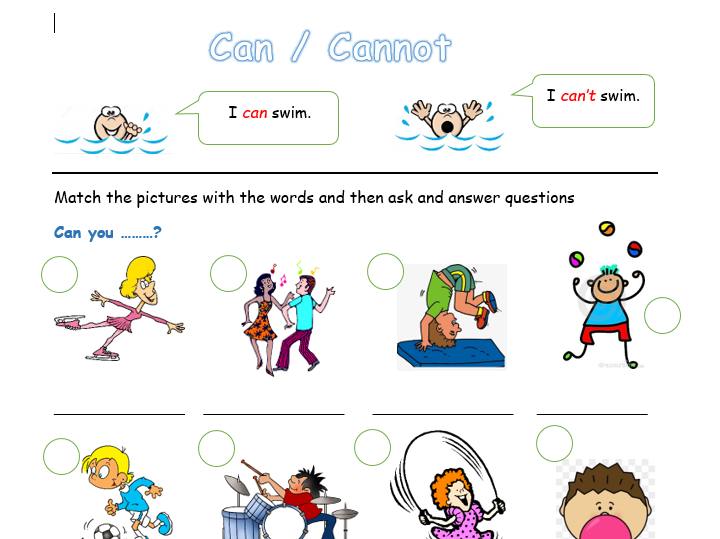 After matching the pictures, the students can be asked to write some sentences by using 'can' and 'can't' about themselves.